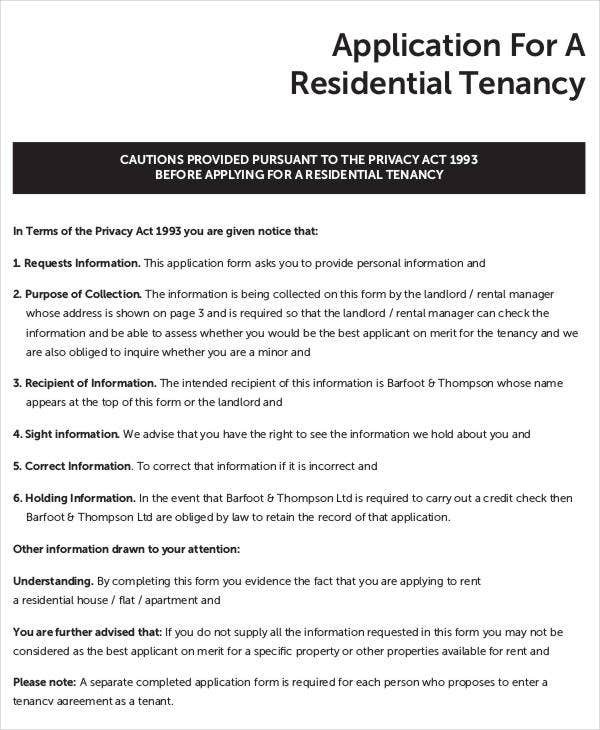 A tenant is a person who is renting a designated space for his or her personal purposes. 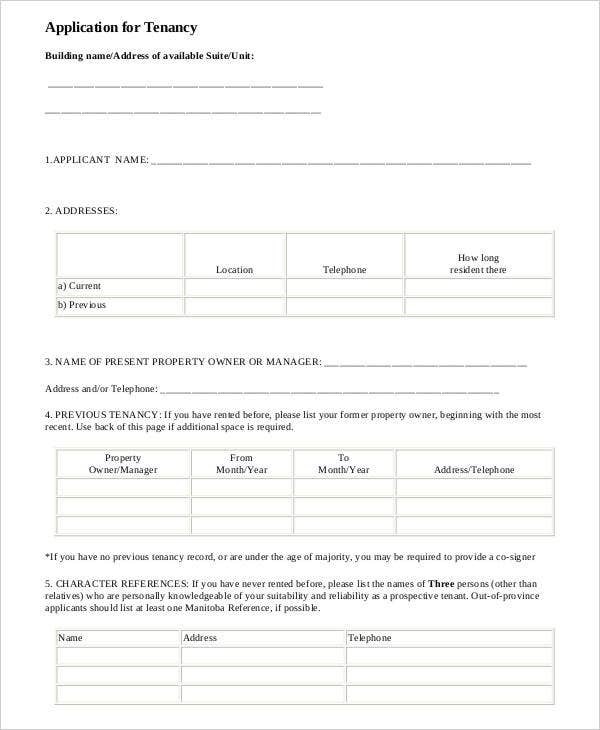 It may be an individual or a group who is renting a land, a house, or a commercial space and have agreed to specific leasing terms for a duration of time. There are different reasons why tenants rent an area. 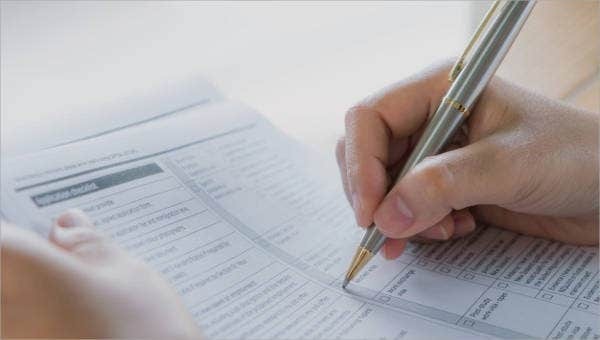 Before they are able to rent, there are some conditions that are needed to be understood and information that they need to be able to supply so that the person who owns the place or his or her representative can assure that the property is in good hands for a short period of the lease. 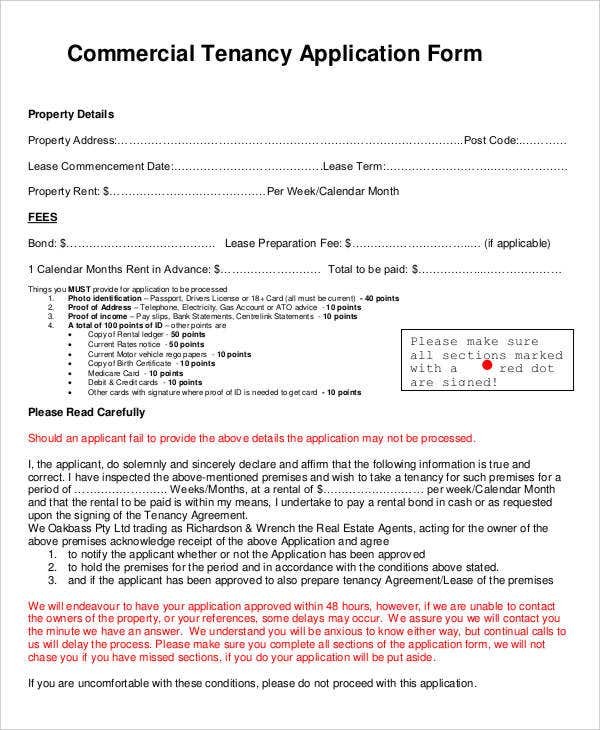 A tenant should fill a tenant application form before the lease or rent of a space can formally start. 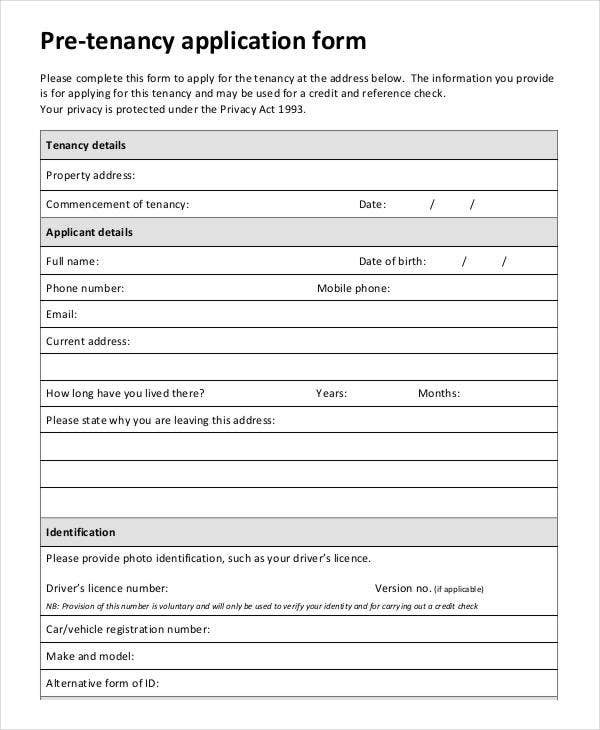 You may view our Application Form samples for your reference to create tenant applications forms so they could lease your properties. 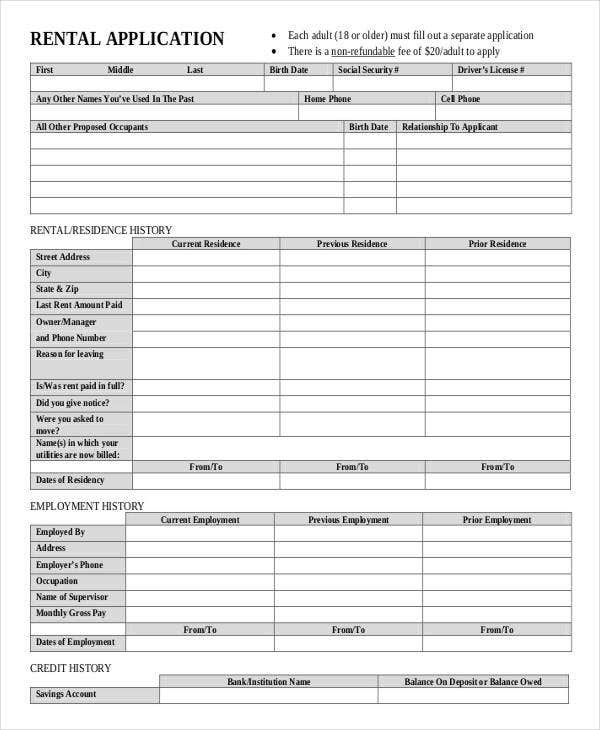 You may view our Apartment Application and Vendor Application form samples and use them as references for their specific purposes. As with most of our templates, these are available to download for free and are printable. 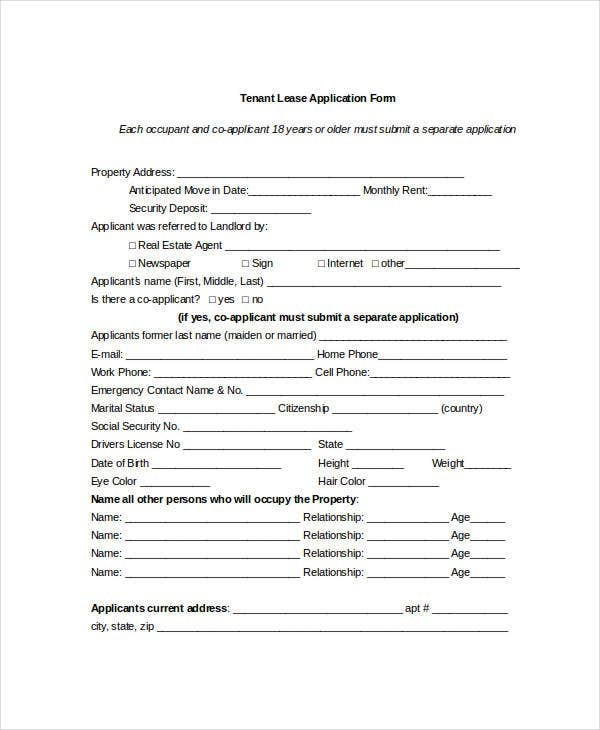 Why Is a Tenant Application Form Important? 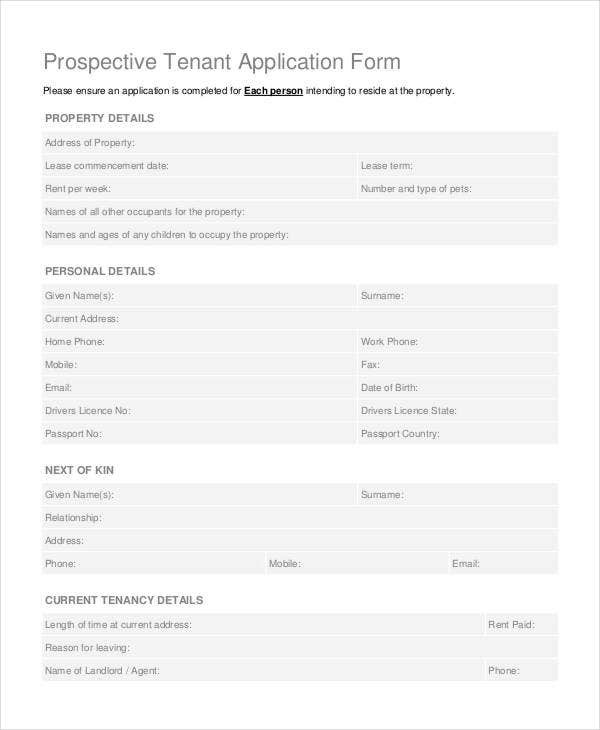 If you are the property owner, you can assess the person or group’s capability to take good care of the property while using it from the information that they have written in the application form. If you are a possible tenant, you will know the items that are important to be considered like the price that you need to pay, the terms of payment, and the specifications of the property that you are to rent or lease. 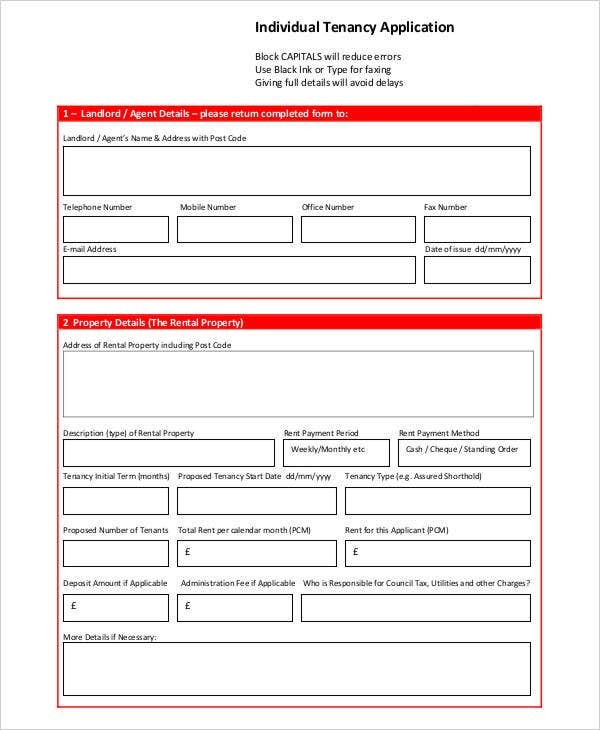 A tenant application form holds the information that is needed by both the property owner and the tenant. It helps secure the fact that both of them have understood everything that is involved in the entire duration of tenancy. 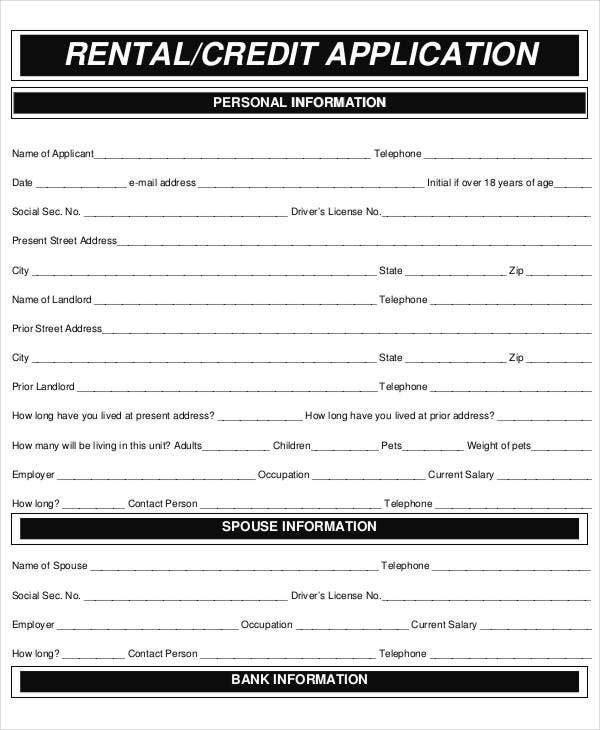 If you are to rent a place, make sure that you have filled up and read all that is included in the application form. The exchange of information is very important for this particular transaction. 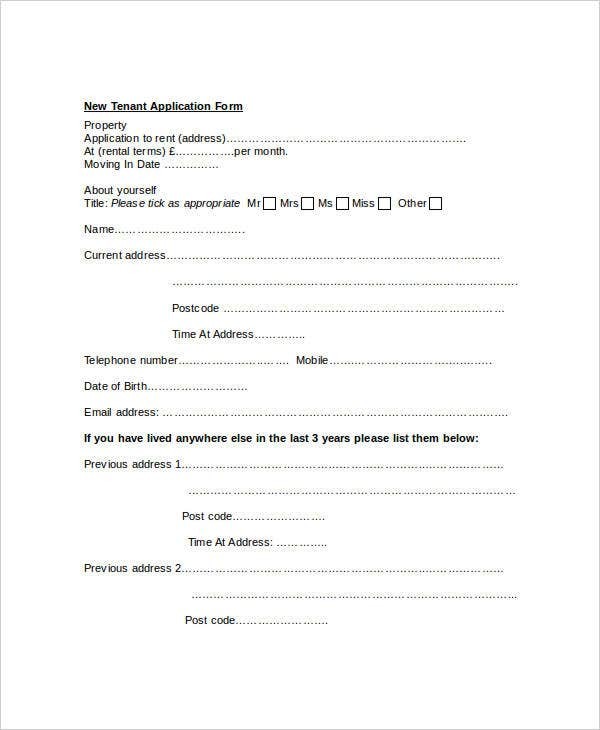 You may view our Rental Application Form so you’ll know a few things about what is written on rental application forms.